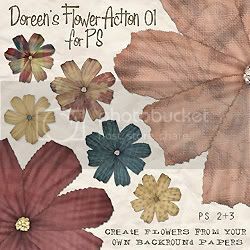 Create coordinating flowers for all of your layouts with this Flower Action by Doreen. 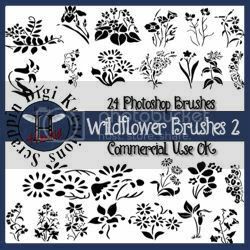 This action works with Photoshop CS2 & CS3 and is available for personal and commercial use. Click on the links below! 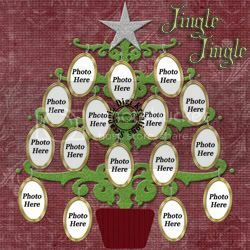 Here are the final submissions for December's Supa Digi Kit "Jingle Jingle". Be sure to stop by SDK and pick them up before they're gone! 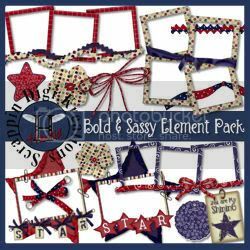 Come by the SDK store and pick up Lorie's new "Bundle of Joy" kit! 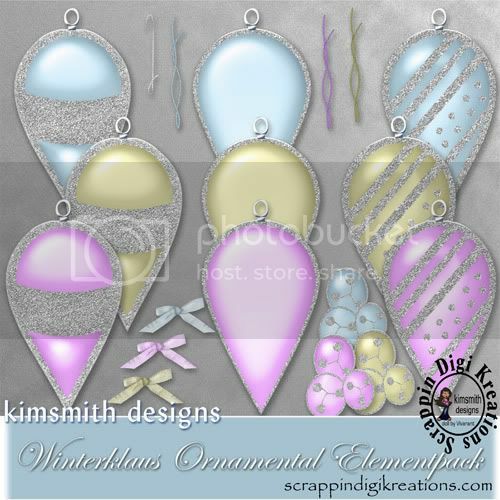 These cute combinations of colors and elements are perfect for all of your newborn and children's layouts! 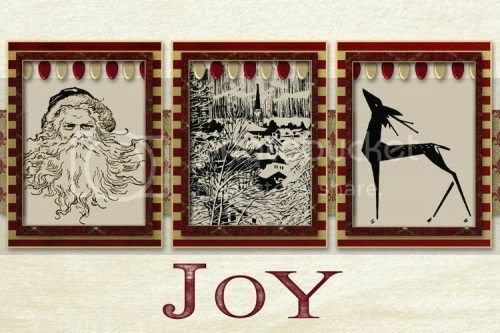 And...don't forget to pick up Lorie's "Bundle of Joy Quickpages" too! This kit contains two 12 x 12 (300 dpi) quickpages and a bonus 6 x 4 Brag Book page which coordinate with her "Bundle of Joy" kit. 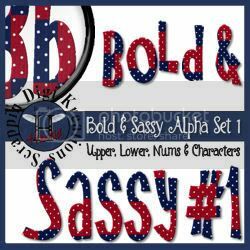 Herald's new collection "Bold & Sassy" is now available in the SDK store. 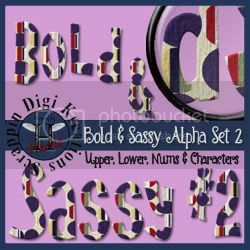 This collection of bold colors and patterns is perfect for those masculine or boy pages...and even a few girly ones too! Come by the store and pick up this great collection today! 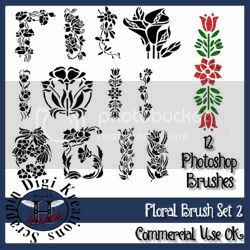 Add some floral touches to your layouts with these new brush sets from Herald. 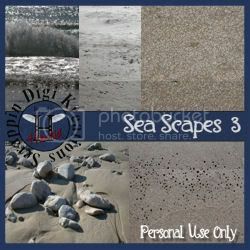 Each set was designed for use in Photoshop CS2 & CS3 and can be modified to coordinate with any layout. Available for personal or commercial use. Stop by the store and pick them up today! 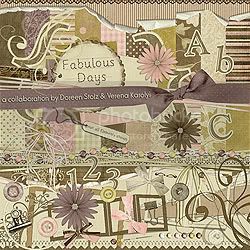 Add a little romance to your layouts with this new collaborative kit from Doreen Stolz and Verena Karolyi. 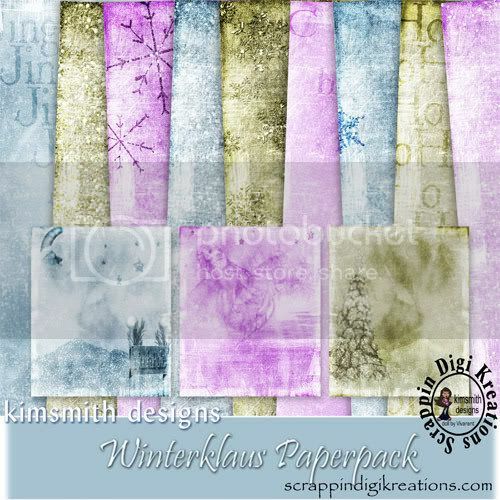 This kit includes: 26 papers (12 x 12, 300 dpi), 1 torn paper, 59 elements, 1 alpha set, and 6 special items. 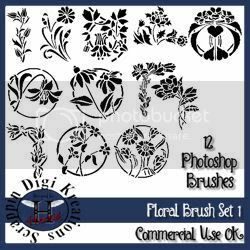 The papers for this kit are also available separately. No time to scrap? No problem! 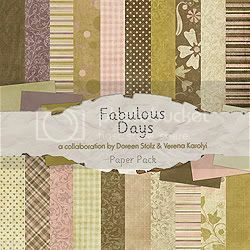 Pick up the Fabulous Days Album for fast, beautiful layouts in a snap! 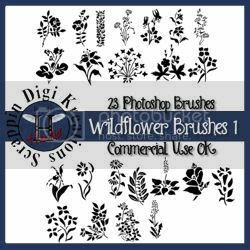 This kit comes with 6 12 x 12 (300 dpi) quickpages for those times when you need a layout fast! One of Santa's elves has been working extra hard this year and has left some special deliveries in the SDK forums! 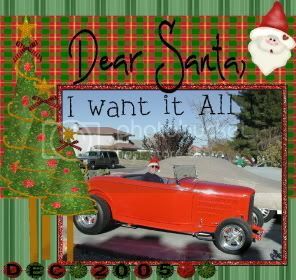 Be sure to stop by and see what goodies this little elf has for you! 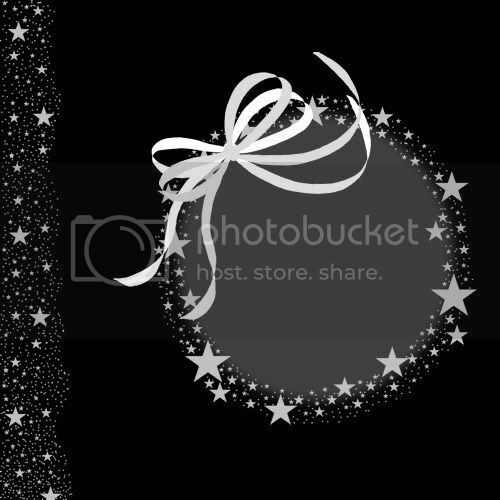 From all of us at SDK, we would like to wish you and yours a very Happy Holiday. It's not too late to join in on the some of the fun challenges over at SDK this month. 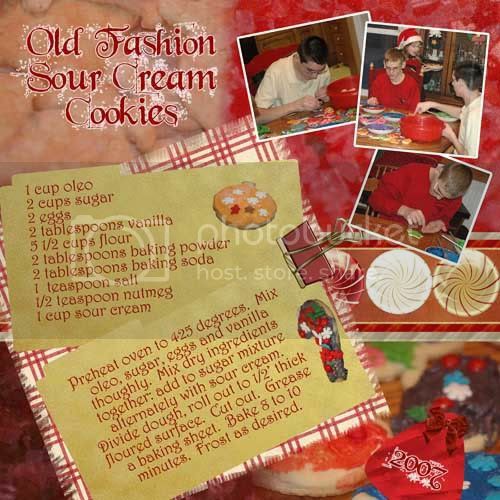 Bring your favorite cookie recipe with you and submit it to our December Recipe Challenge. 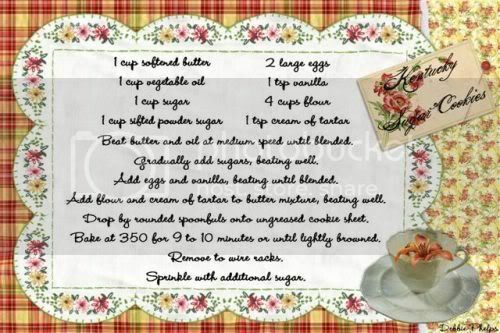 Here are just some of the great recipes already submitted by our members! 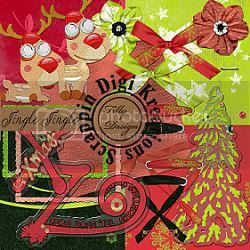 Two new portions of this months Supa Digi Kit "Jingle Jingle" have hit the store shelves, so be sure to stop by SDK and pick them up! 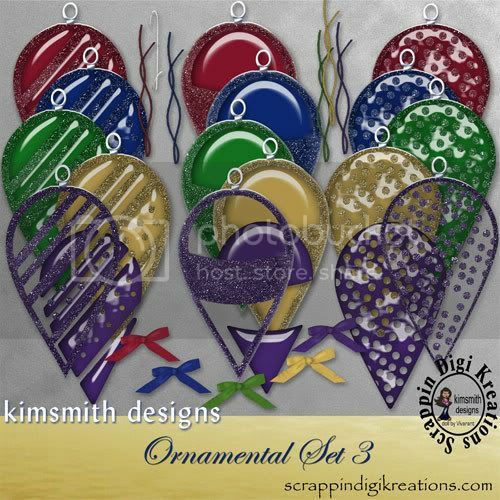 Add a little fun to your layouts with this festive little kit from Leslie! This great quickpage from Sammy is perfect for scrapping those family get-togethers! ...and Kim is going all out this year! 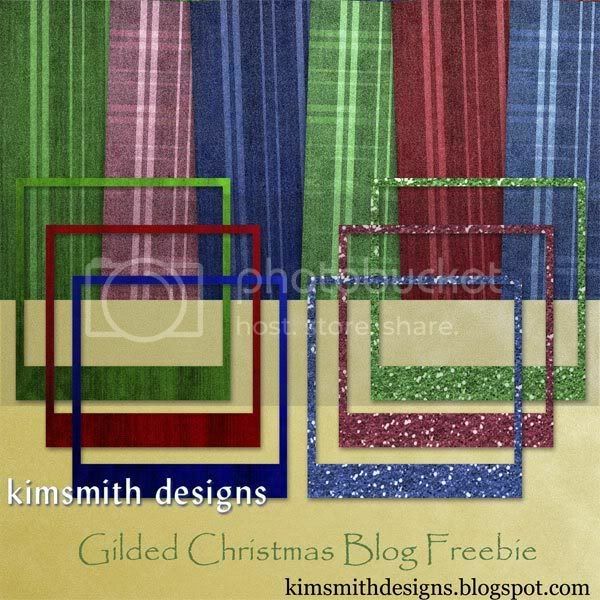 Be sure to stop by her blog and pick up her new "Gilded Christmas Blog Freebie" along with all of the other wonderful freebies she has posted for your enjoyment! 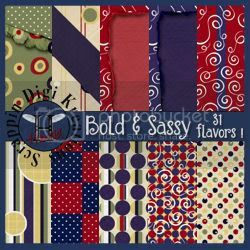 Here's a great 12 x 12 quickpage freebie for you from Doreen's Sweet Honey kit. Perfect for when you need a layout in a hurry! 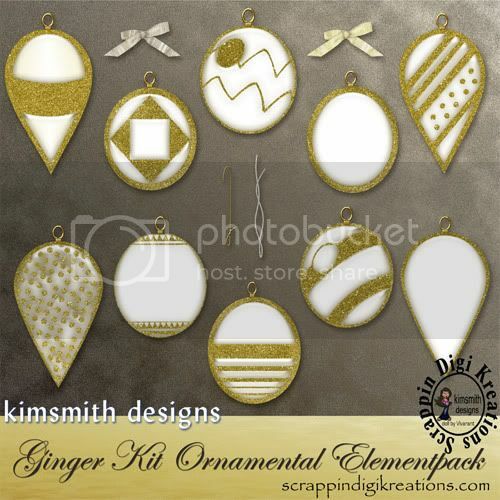 Note: the Ginger Ornamental and Ornamental Sets 1 - 3 coordinate with my other holiday kits already in the store! 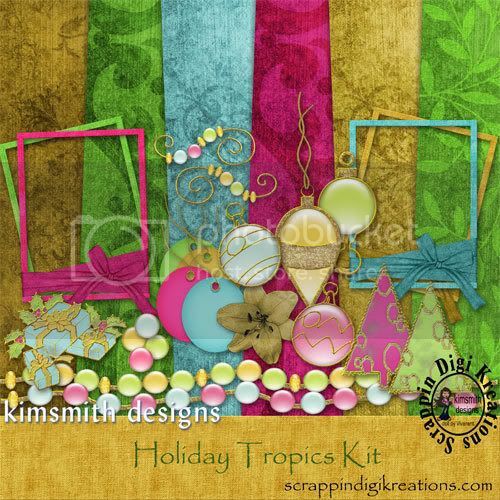 This wraps up my holiday kits for the store this season. 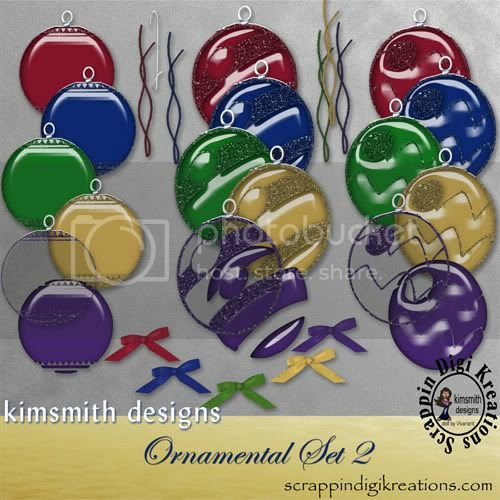 Hope you like them and will check them out -- they'll be in the store sometime later today (December 20th). 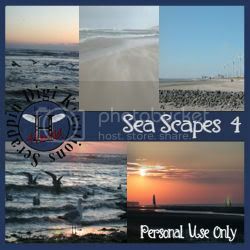 While you're there, I'm having a 50%off everything sale from now thru December 31st. So if there is something you've wanted, better snag it now. Most of my older inventory will be retired after the sale! 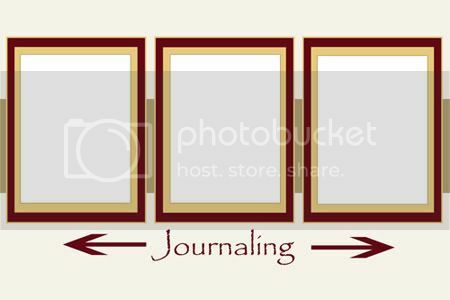 Don't forget to post your layouts in the gallery and check out my blog for some goodies! 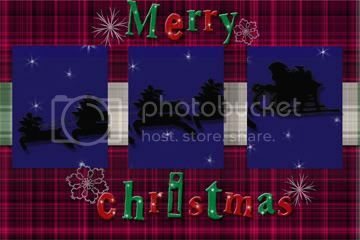 Tfl and Happy Holidays! 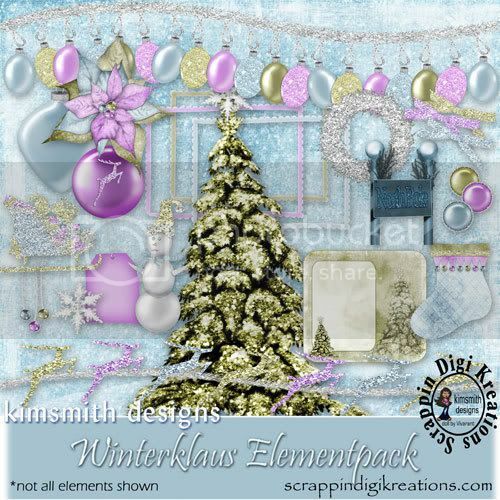 I just had to share this wonderful layout from Robbi1, voted today's LOTD. 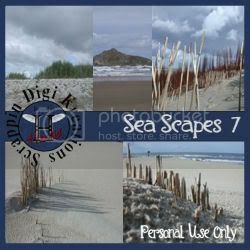 Come on by our Kreative Gallery and check out all of the fantastic layouts! 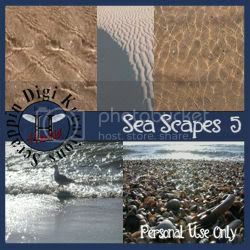 Who knows, you may even find a little inspiration to help you with your own layouts there! 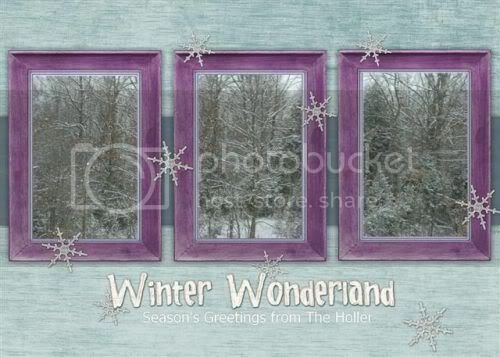 Another Christmas Freebie From Lorie! 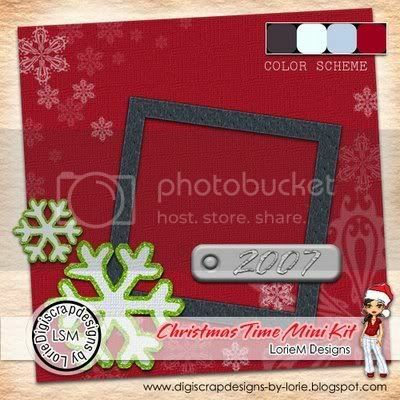 Lorie's "Christmas Time Mini Kit" contains 1 textured paper with snowflakes, 1 frame, 1 fabric snowflake with green glitter, and a year 2007 plate and it's all free, just for visiting her blog! 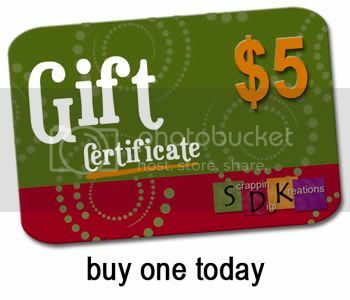 ...to pick up an SDK Gift Card for that special scrapper in your life! Makes the perfect gift. Click here for more information! This great new collection of background papers from Herald is sure to add a bit of dimension to your layouts! 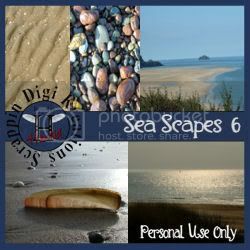 Each Sea Scapes pack comes with 5 realistic beach/sea/ocean backgrounds, each created at 300dpi, 3600 x 3600 in size to ensure each background is crisp and clear in a variety of layout sizes. Purchase just one or collect them all! 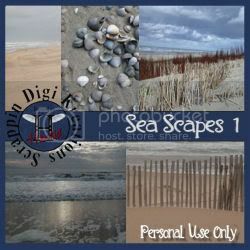 Two new portions of this month's Supa Digi Kit are now available in our store. Stop by today and pick them up! While you're there, be sure to check out our specials for savings up to 62% off! 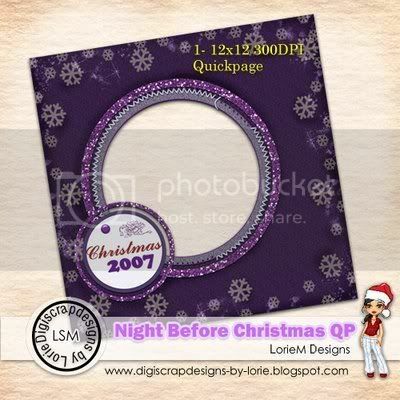 Lorie has another great Christmas quickpage freebie for you! Head on over to her blog and pick it up! 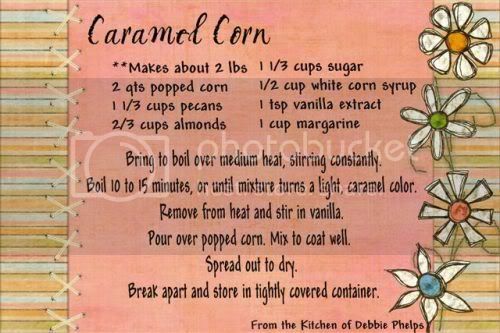 Come check out my blog where I'll be posting freebies periodically for the rest of the month on Page 3! 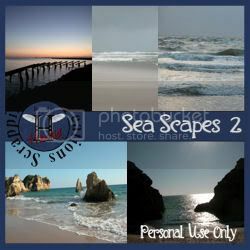 Check out the other freebies posted as well - they're all still valid except where indicated . It's not too late to join in on one (or all!) of the challenges we have going on over at SDK this month. 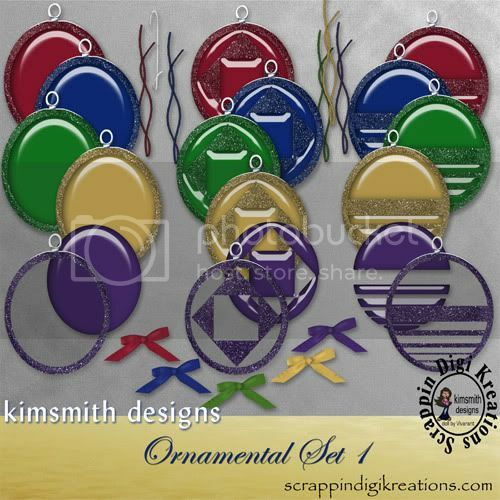 Here is this month's sketch for Kimmy's Kreative Card Challenge. 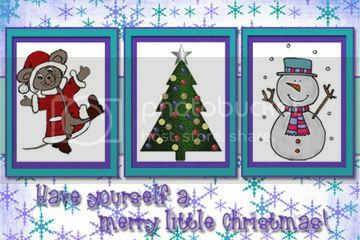 And here are some of the finished cards! So, what are you waiting for? 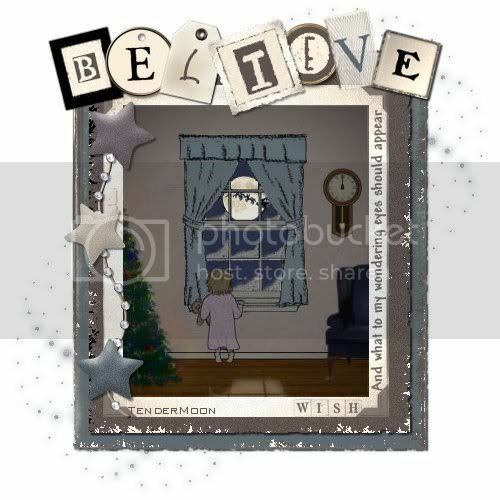 Come on over to the Kreative Altered Art thread and share a little of your own creative vision. We look forward to seeing you there!